DENVER—After the Broncos quarterback sustained an apparent ankle injury in Sunday’s game against the San Diego Chargers, team doctors were shocked Monday when an MRI revealed that Peyton Manning has actually been dead for the past six months. “It’s obviously never good when an injury is worse than you anticipated,” interim head coach Jack Del Rio told reporters, noting that what doctors expected to be slight tearing of the ligaments actually turned out to be a late stage of decomposition afflicting the entirety of Manning’s body. “We’ve started a rehab regimen for him, mostly trying to keep his rotting flesh from falling off the bone. Luckily, the rigor mortis hasn’t affected his mobility. 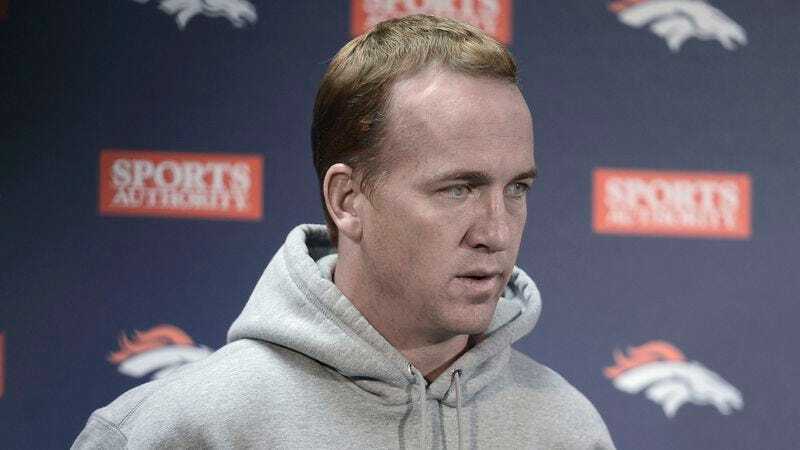 And in spite of the news, Peyton’s spirits appear to be up.” While the deceased four-time MVP will be listed as questionable this week, Broncos sources expect Manning to start Sunday.